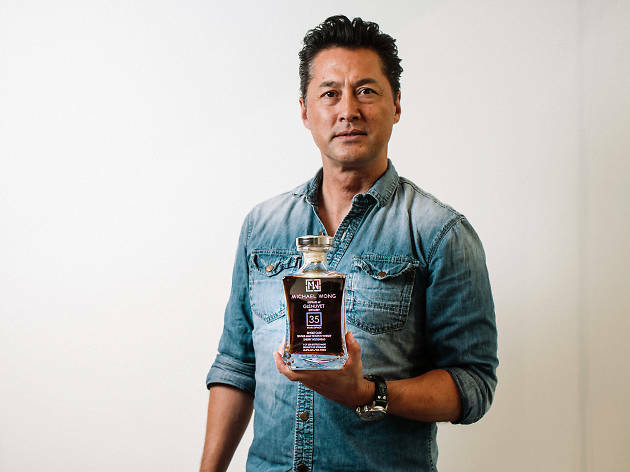 Michael Wong is a man of many talents – actor (notable for his parts in films like Lost and Found, Beast Cops and Nightfall), singer, aviator, and now, whisky connoisseur. 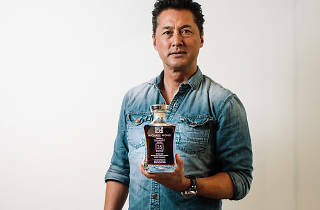 Working with Glenlivet and auction house Dragon 8, the renaissance man has helped create MW MIchael Wong Glenlivet 35, a 35-year-old single malt of subtle complexity, limited to 228 bottles. In your own words, how would you describe your MW Michael Wong whisky? Something modern and very classy, which carries a certain elegance to it. Something that fits my brand profile. Obviously you’ve tried it, so what do you like about the whisky in terms of tasting notes? The 35 is a very smooth whisky, it has a lot of interesting characteristics to it. There’s a very subtle but creamy finish. Everyone describes their whisky in different ways. I had it written down as soft, honey-kissed, mixed dried fruits. You need to wait for the finish to really get the proper definition. But that’s the one thing that comes through most for me – a very soft, honey feel. I myself, I dilute my whisky. I think it helps to open up the whisky. I add several drops of distilled water. That takes away the bite on the nose, as it can be very strong. This bottle is very masculine, the stopper is very traditional, a very strong stance. Have you always enjoyed the spirit? How did you get your break in movies? It’s interesting. Tsui Hark’s wife found my brother’s picture in an agency in Hollywood, ‘cause she was looking for new talent to star in films back in the 80s. He told her, “I have five brothers,” and then we were all invited here and signed to make films. When I came on the first trip, Sam Hui was working on a series of films. What happened was, in this particular film, Sam wore a silver superhero suit, and he had jet-powered skateboard stunt. This famous skateboarder suddenly broke his leg and couldn’t do the scene anymore. I knew how to skateboard and I’m just there, so I say, “Yeah, I can skateboard!” I remember doing the shot, coming down Glenealy, in Central. They built this wall of pads. I was coming down, balls to the wall, I can’t stop and I can’t jump off. I had to literally jump into the pads – that’s how I got the title to my first job. Totally off the cuff, stunting for Sam. You were a stuntman and have been in many action/police films – do you see yourself as a man of danger? I guess you could say, ‘conservative but aggressive’. I’m quite aggressive, but not dangerous. It’s probably why I’m still alive. I don’t do anything that I don’t know how to do. I don’t go up and start flying around and trying something if someone with more experience hasn’t already shown me. I used to roof hop when I was a kid. We would run and jump from one roof to another. All this stuff I was doing as a kid. I was a little daring, but I always felt in control. My mother probably thinks it was very dangerous [laughs] but I used to do all these cool things when I was small and now they are back in trend. Airways of Love is a TOHK office favourite, so what can you tell us about it? You know, I read one of the remarks on YouTube, some European guy wrote, “OMG, this is v stupid.” But when you listen to Rihanna’s songs… [Impersonates Rihanna] that’s pop music. That’s exactly what I wanted with Airways of Love, I wanted those double meanings. People would go, “That appeals to an audience.” I mean, the music is fantastic and the lyrics were good. It’s got a good groove and it made sense because it was a George Michael type [of song]. I wanted to do something that wasn’t too young for who I was in my life and where I could incorporate some of the stuff that I like to do, such as aviation. That’s where the idea for the lyrics came. For information and pricing, visit Dragon 8.